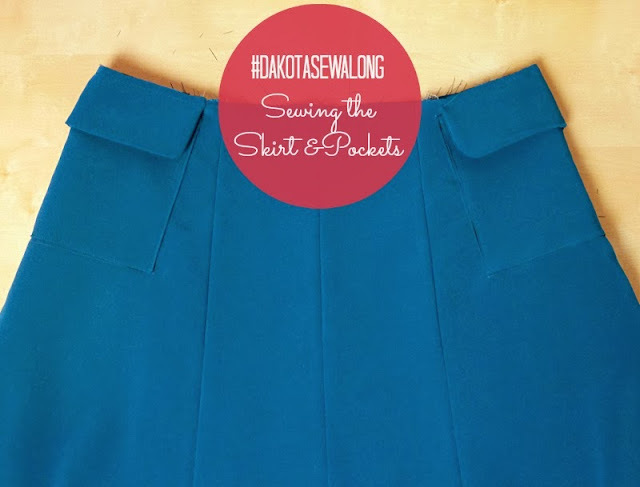 Folks, we're so close to finishing our Dakotas, it's tres exciting, no?!? 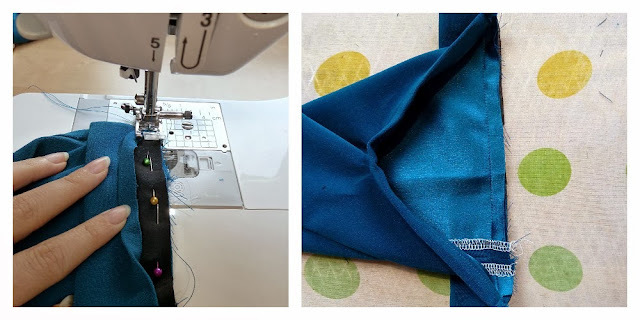 So let's crack on with the cuffs and sleeves! 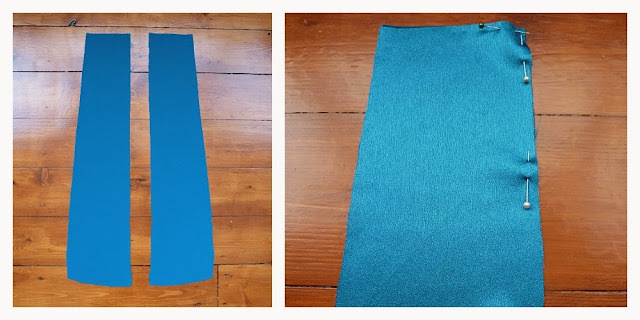 We're going to start by taking our flat sleeve pieces and machine basting (sewing on your maximum stitch length) just inside the 1cm seamline around the top of the cap - this is so we can ease the sleeve into the armhole a little later. Usually patterns have markings to baste between, but the Dakota pattern just suggests that the front of the sleeve is slightly more eased than the back. So I measured 7cm from the notch in the middle of the sleeve towards the front of the sleeve and then 10cm from that same notch towards the back of the sleeve and then machine basted between the 7cm and 10cm marks. 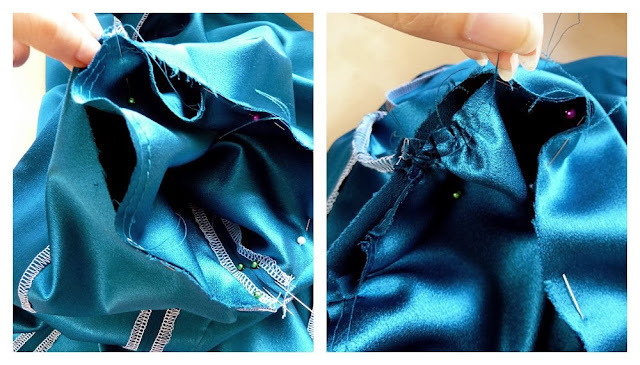 It's also recommended that you machine baste 3 rows for better gathering results, but I could only fit two in comfortably due to the narrow seam allowance. 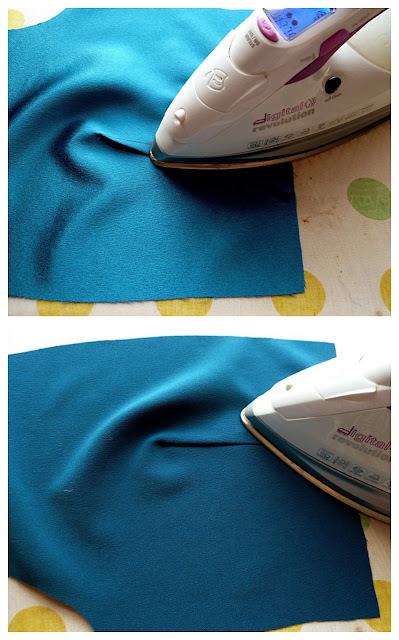 Once your machine basting is done, sew and finish your sleeve seam and press open. 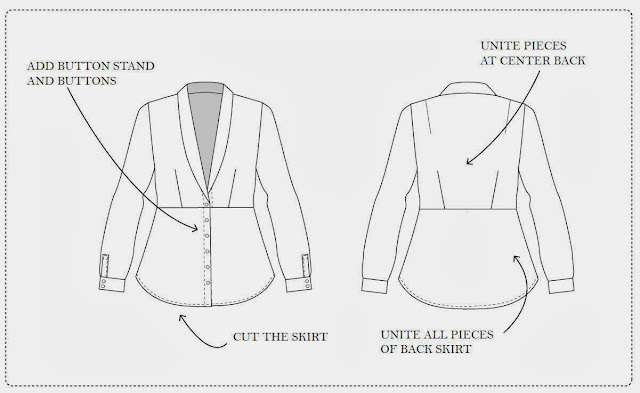 Now put your sleeves to one side, we're going to make our cuffs. 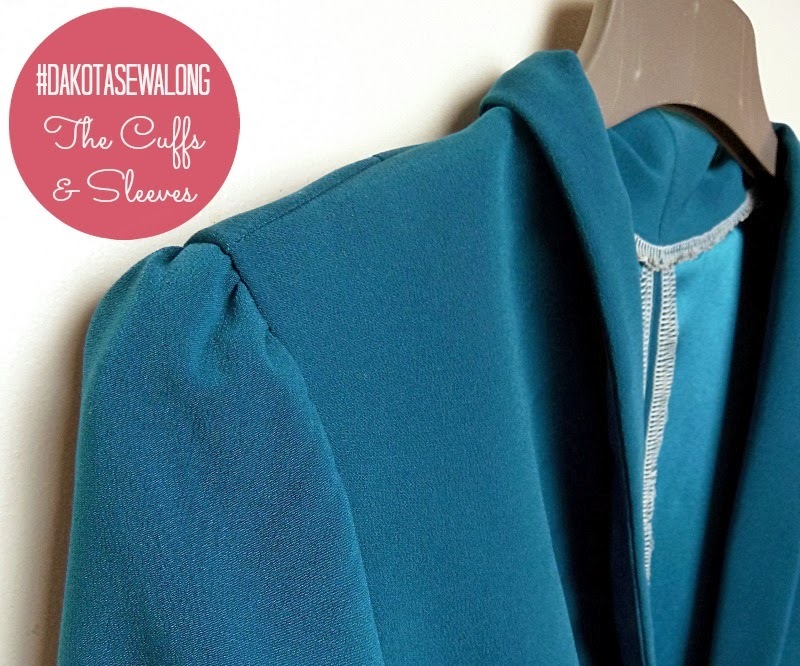 Attaching the cuffs before setting in the sleeves is much easier to do, but if you haven't made a muslin and think you may need to shorten your sleeves, then reverse the order. 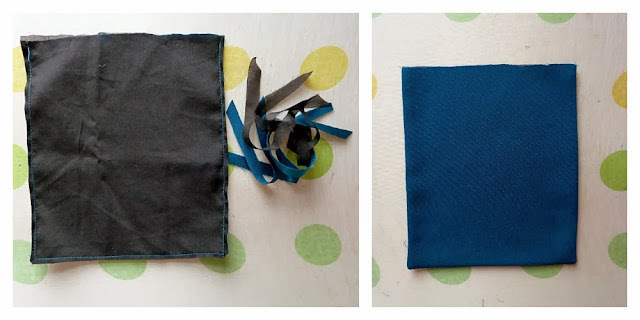 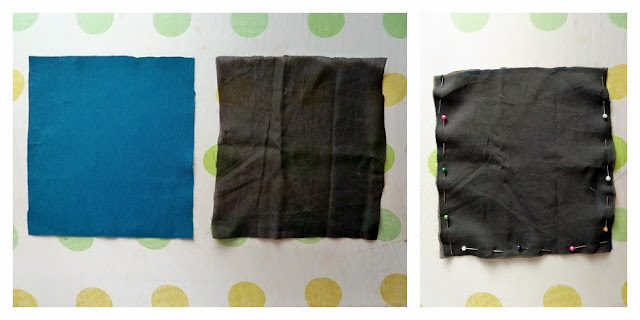 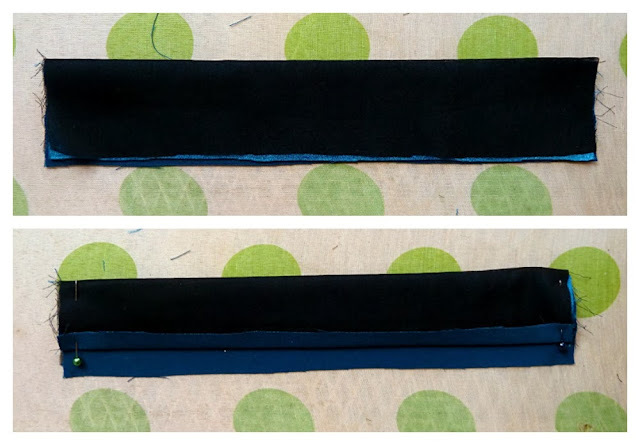 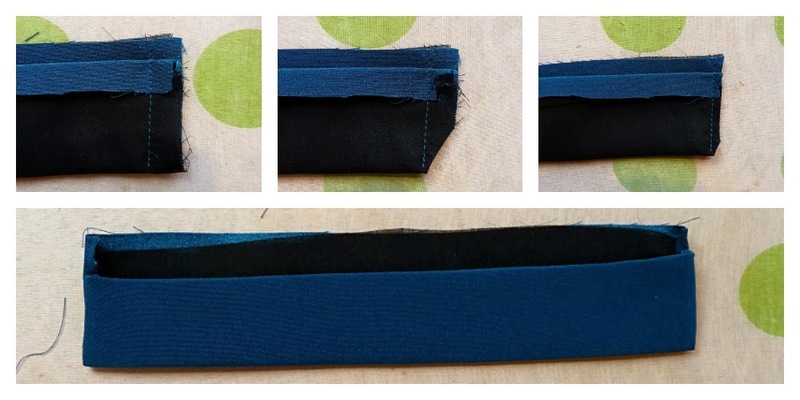 Fold and press your cuff in half, then fold and press the seam allowance of the cuff's inner side towards the wrong side - the inner side is your non-interfaced side, but I lined my entire cuff with silk cotton so both sides look the same I'm afraid. 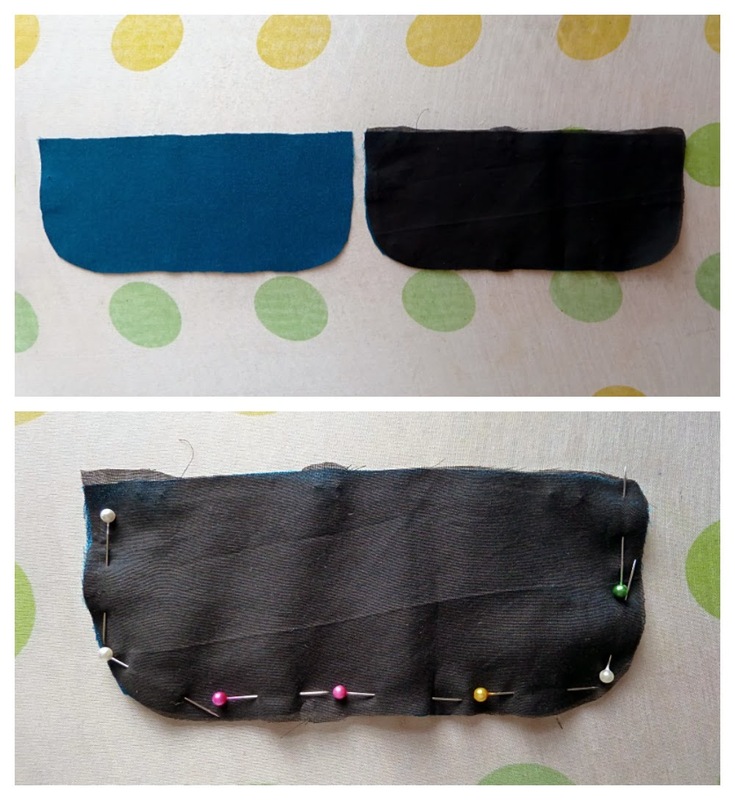 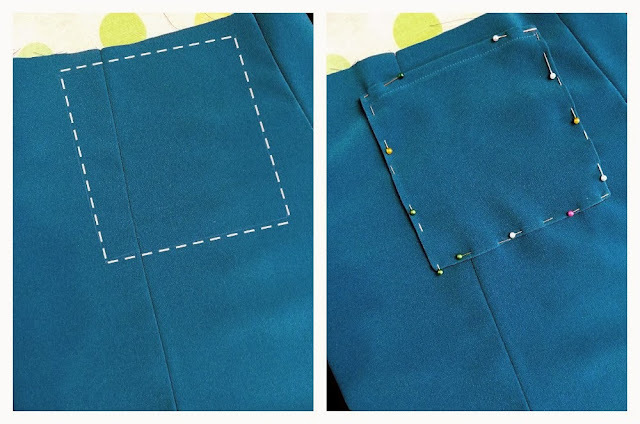 Pin the side seams and sew. 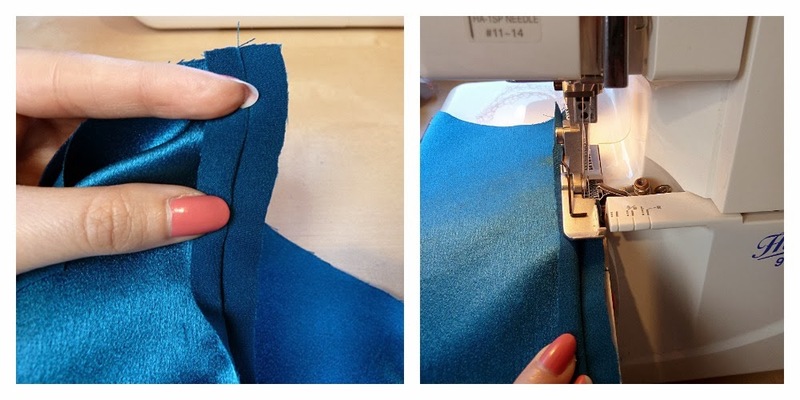 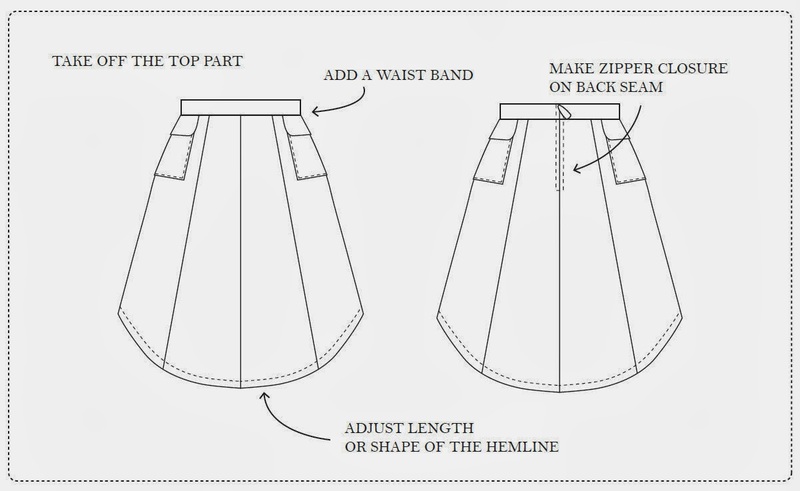 Carefully trim your seam allowances, turn the cuff to the right side and give it a good press. 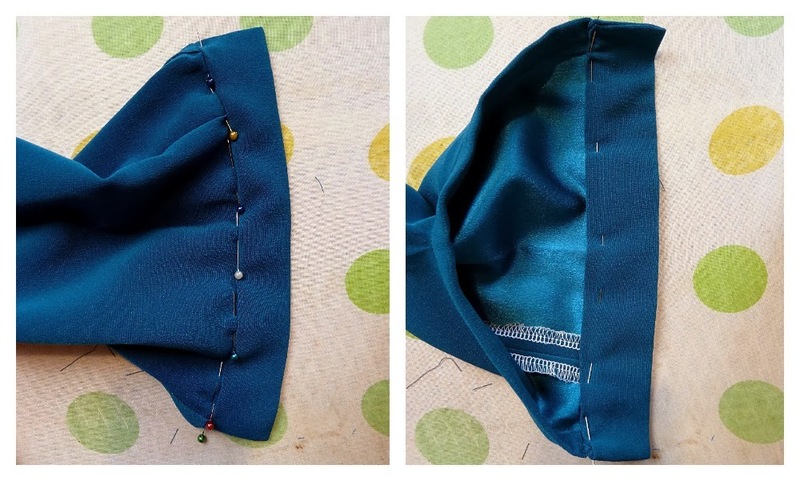 Lay out your sleeve and cuff like I have below, then place your cuff over your sleeve so that the outer side (interfaced side) of the cuff is right sides together with the sleeve. Pin into place, with the ends of your cuff slightly overlapping the ends of your sleeve, which will make enclosing raw edges much easier. 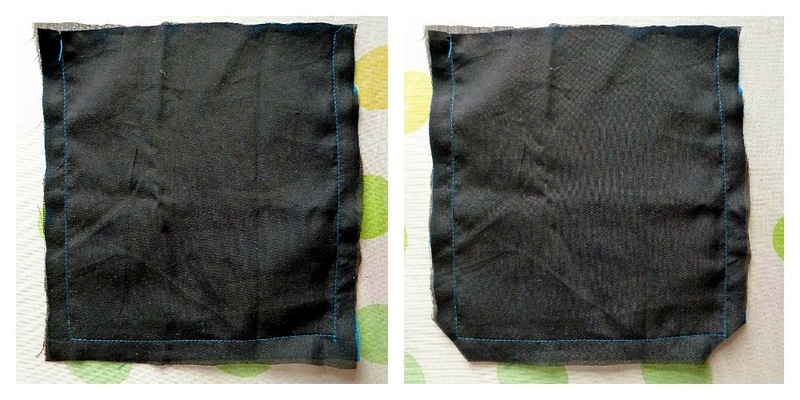 Your sleeve should look like the pictures below when flipped over. 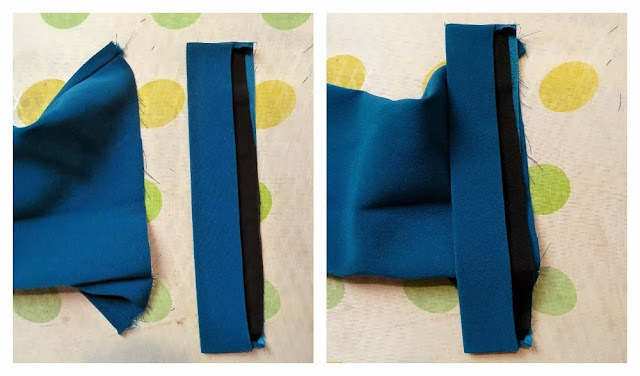 Sew your sleeve and cuff together, trim your seam allowance and fold it down towards the cuff so that the inner side of your cuff overlaps it. 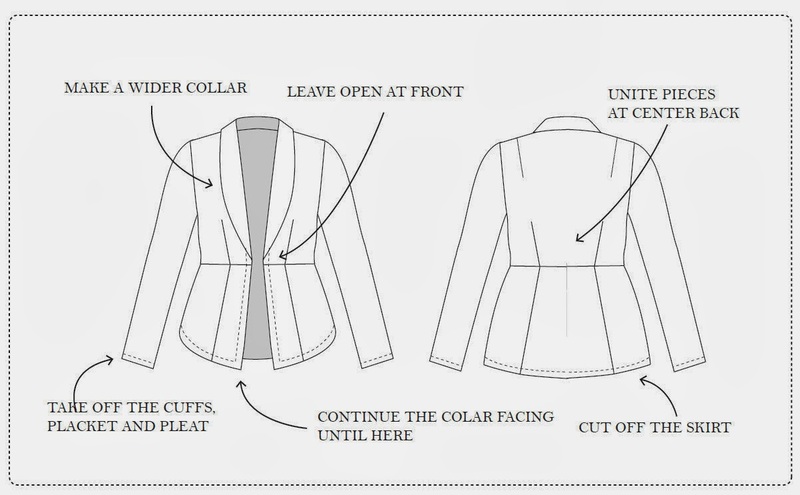 Press into place. 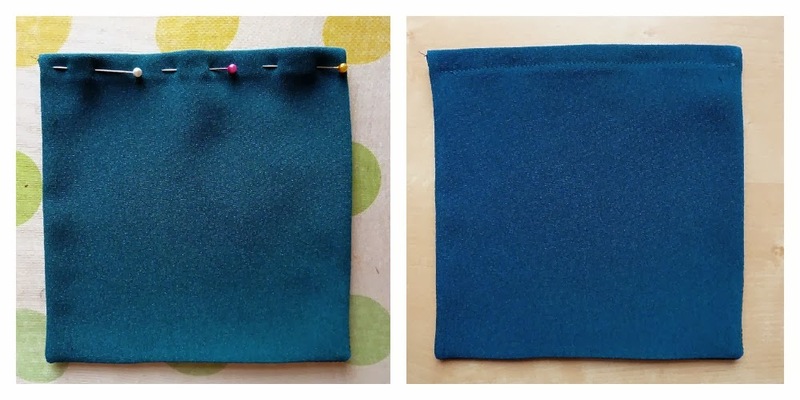 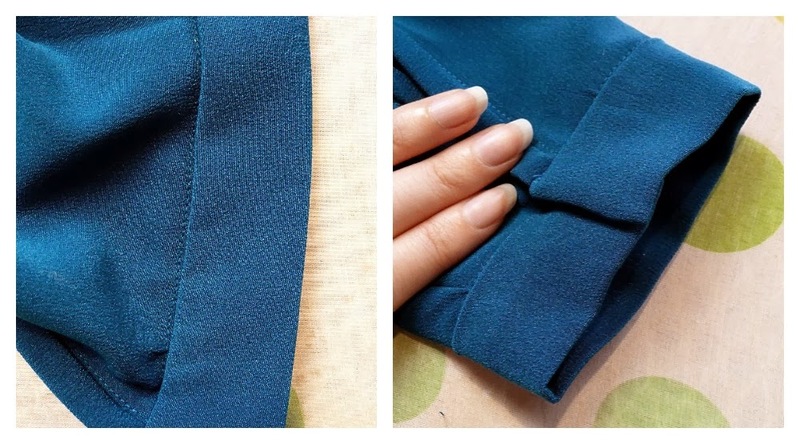 You can smugly hand stitch the inside of your cuff for a super neat result, or you can pin it in place from the right side of the sleeve and machine stitch close to the seam line or 'in the ditch'. And there you have it, seriously smart cuffs! 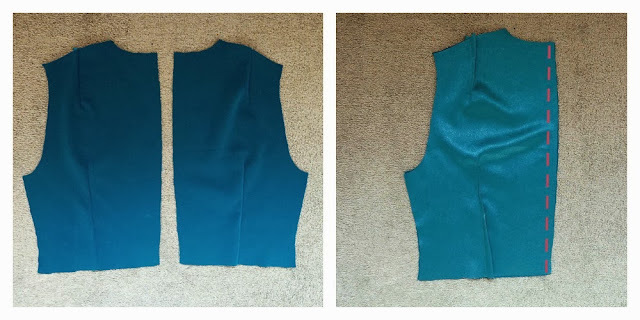 All that's left to do now is set in our sleeves! 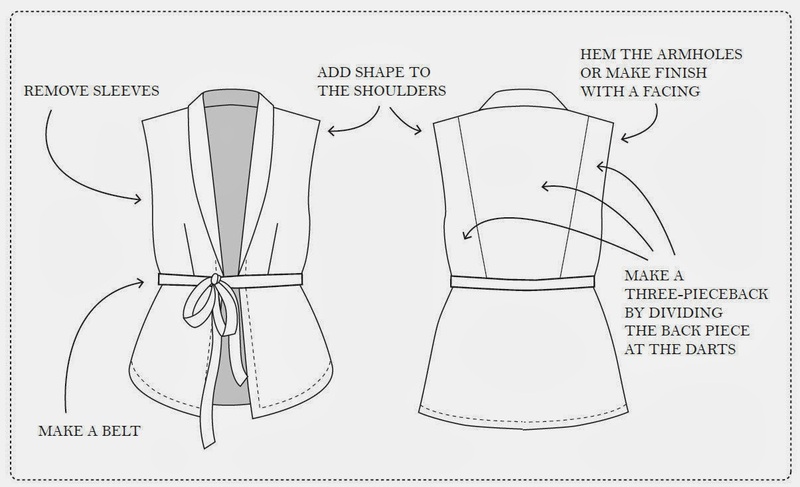 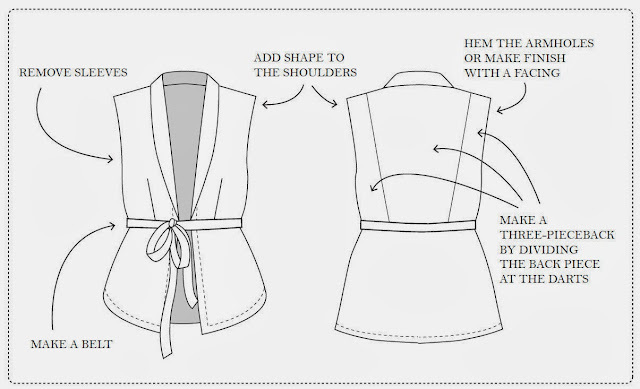 Turn your dress inside our and push your sleeve (right side out ) through the armhole, so that the right sides of the sleeve and bodice are touching. 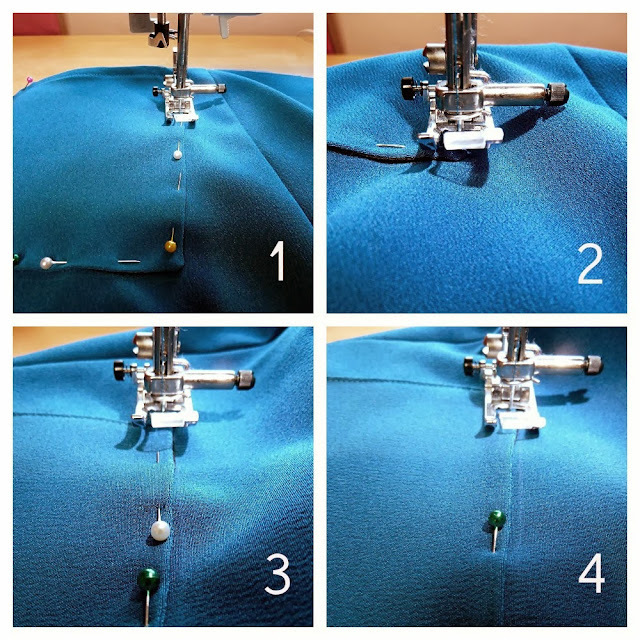 If this gets confusing at any point, check out Tilly's crystal clear tutorial. 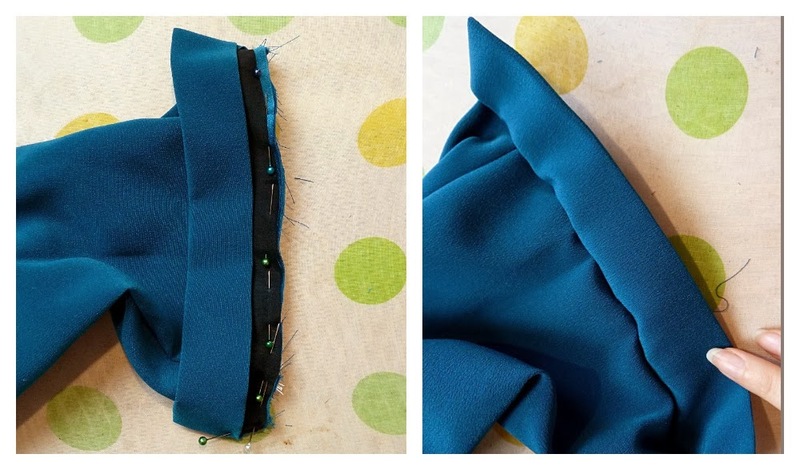 Start off by matching up and pinning the underarm and bodice side seam, sleeve and armhole notches, shoulder seam and central notch. 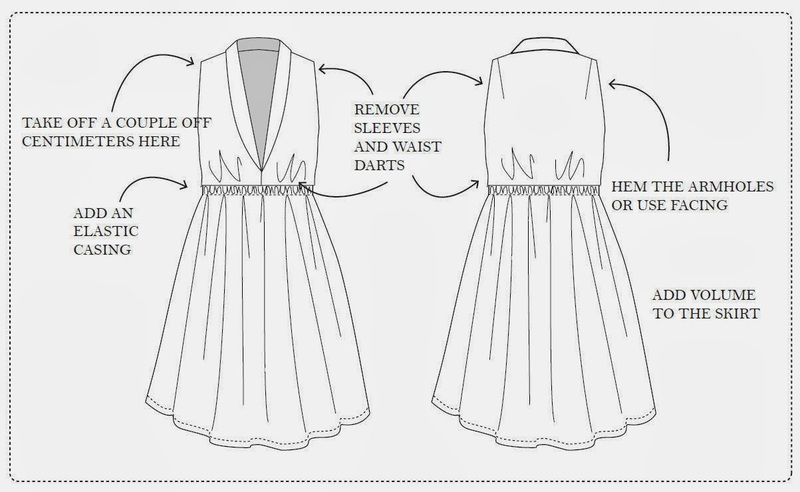 You'll be left with some gaping where your sleeve head is larger than your armhole. This is exactly why we machine basted a couple of rows earlier though, so we deserve a big pat on the back. 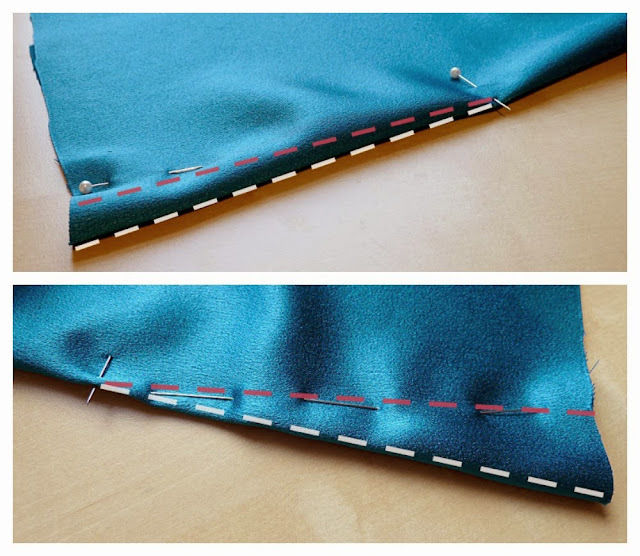 Grab the loose threads of your basting rows and pull them to gather your sleeve to the right size. 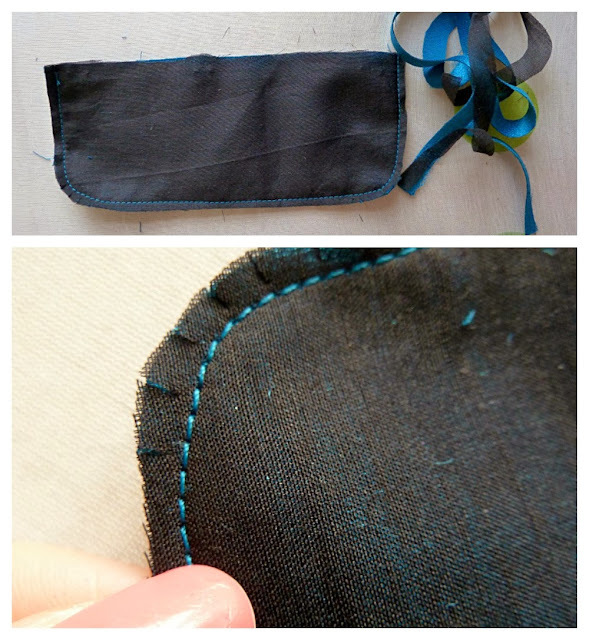 Use your fingers to even out the gathers and until you're satisfied with how it all looks. 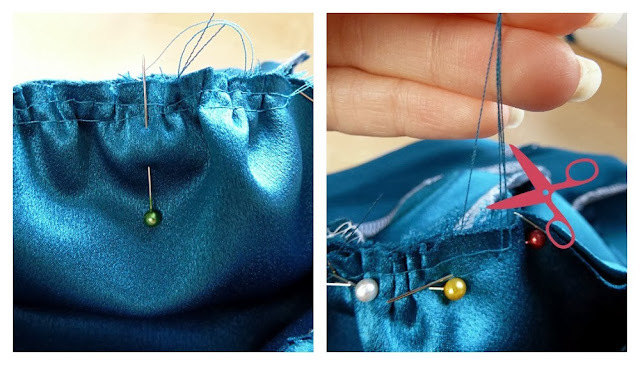 Secure it all with a million pins and then snip away your long basting threads so they don't get in the way. 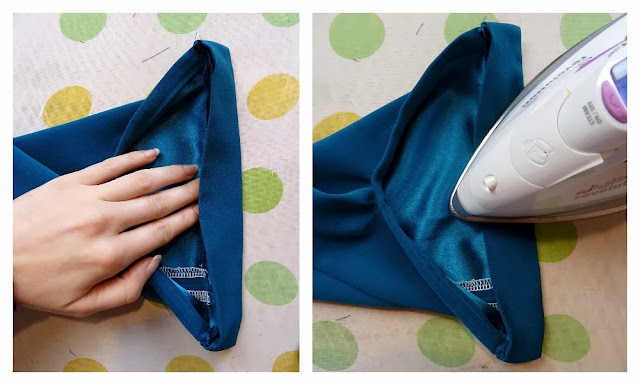 You can baste the sleeve if you're nervous, or you can get stuck in. Just sew nice and steadily on the inside of the sleeve/armhole, smoothing out any lumps and bumps as you go along. 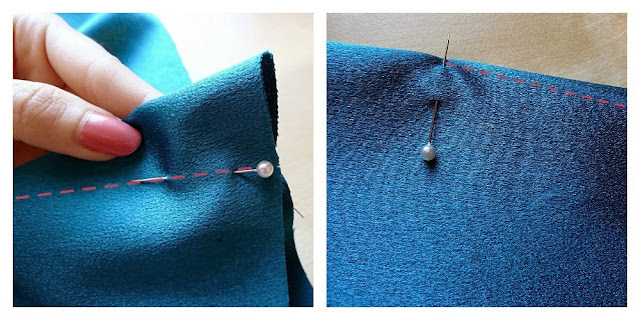 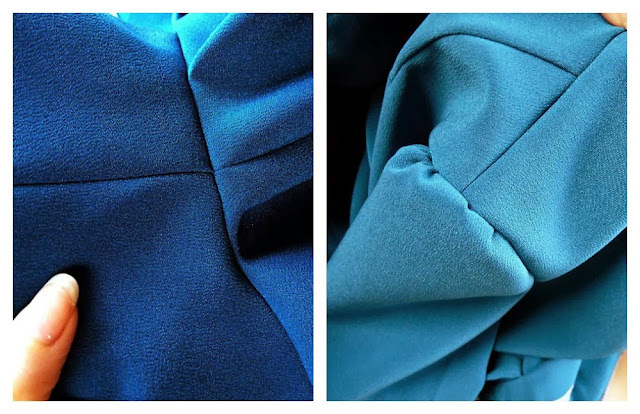 Once you're happy and you've finished your seam, press it towards your bodice. 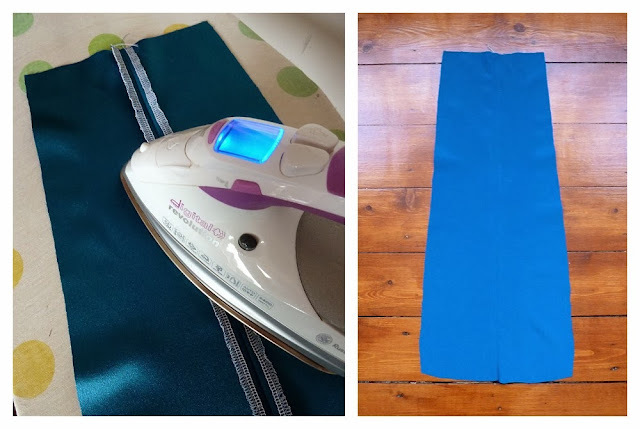 I'm taking this opportunity for a shameless plug, because I was able to use my first ever tailor's ham for this make, lovingly made by Clare of Sew, Incidentally... 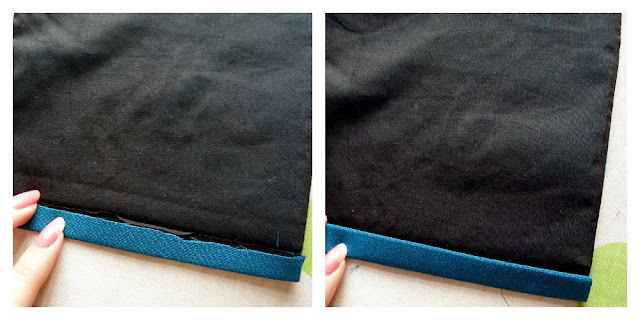 It's absolutely beautiful and perfectly made...I don't know how I've survived this long without it! Anyway! 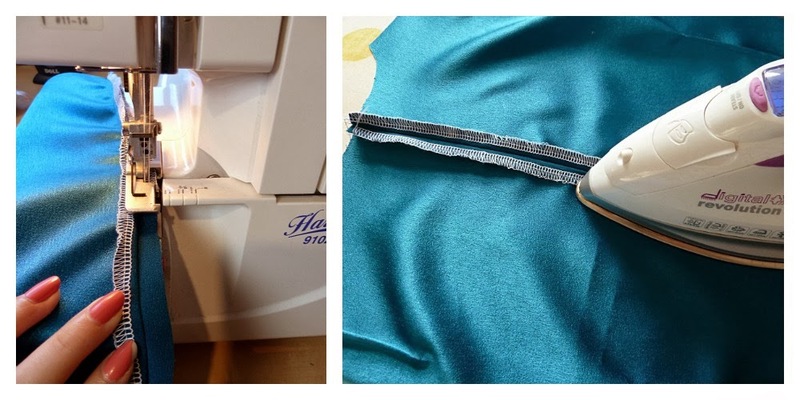 We're done for today, so go and put your feet up...you deserve it!